URBANFLUXES investigates the cities’ warming by breaking down the urban energy budget and targeting the anthropogenic heat flux. For this research we use imagery from Earth Observation satellites combined with conventional meteorological measurements at street level. The resulted satellite-based approach is expected to be easily transferable to any city. 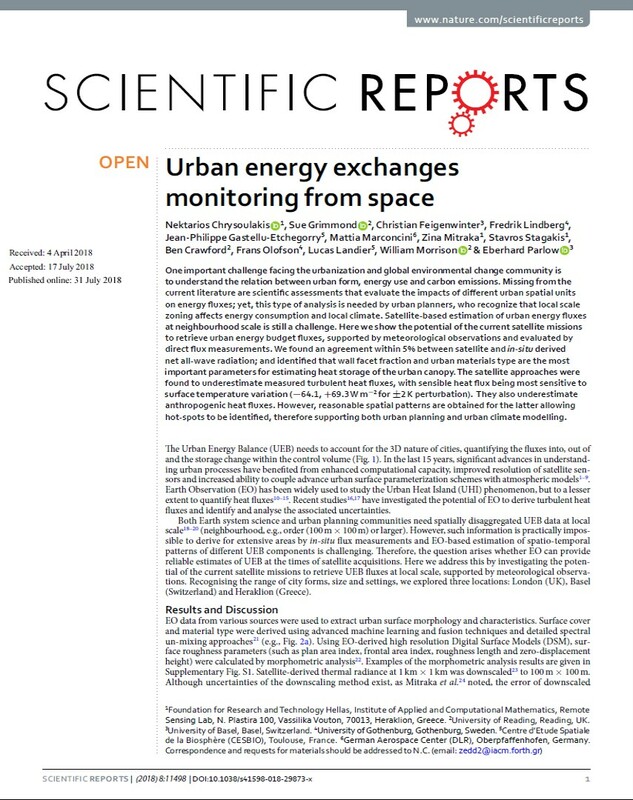 With this knowledge, measures to reduce urban heat can be monitored and tested.